Prefer to talk to a person about getting started? Call us at (708) 246-0520, email info@fordlibrary.org or stop in any time the library is open. Read on for some of the most frequently asked questions about our digital services, or visit our Digital Media page for a list of what’s available. Can I read library books on my device? YES! The library has two downloadable book services: Media On Demand, and eRead Illinois. Through these you can download ebooks and audiobooks for reading or listening on your computer or handheld device. You may also be able to read books online without downloading. Can I watch movies or download music too? Absolutely. Both Media on Demand and Hoopla have movies, and Hoopla has a great selection of music that you can stream or download. What do I need in order to get digital media? Most of our services require your Library Card to either log in or sign up for an account. Overdrive/Media on Demand will ask you to log in with both your Library card and SWAN PIN. I don’t have a SWAN PIN. Or do I? Everyone gets a PIN with a library card now. You may change your PIN if you’d like by logging in to your account and clicking “Change PIN” under the “Personal Information” tab. If you do not know your PIN, call us at (708) 246-0520 to have a staff member check and/or change your PIN. Probably! Media on Demand supports Nooks, Sony Readers, Kindles, iPads, iPods, Kobos, and most Android devices. The e-books and audiobooks available are in PDF, EPUB, Kindle, WMA, WMV, and MP3 format. 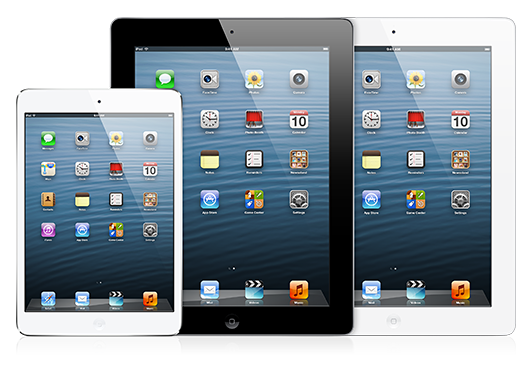 Read more about supported devices and formats. eRead Illinois is not available on regular Kindles, but can be used on Kindle Fire and Kindle Fire HD in addition to Android and iOS devices. If you don’t have a device, you can still use both of our services on your PC or Mac. Hoopla, Flipster and Tumblebooks can be used on just about any mobile device that is capable of accessing the internet, and the first two both have apps available in your device’s app store. How do I get eBooks onto my device? This varies by type of device. See below for the most common methods. MEDIA ON DEMAND: Download the free Overdrive App from the iTunes App Store. This will allow you to checkout, download, and read or listen directly from the app. Once the app is installed, it will prompt you to register the app with Overdrive. This is free, and you will only need to enter this information once. eREAD ILLINOIS: Download the free axis360 app from the iTunes App Store. This will allow you to browse, checkout, download, and read EPUB and PDF eBooks directly in the app. MEDIA ON DEMAND: Use Media On Demand on a computer to browse and checkout your books. Be sure to check out Kindle versions of books. After checkout, click on Get For Kindle, which will take you to Amazon. Log in to your Amazon account to manage your library checkouts. Your book will sync to your Kindle via the WiFi and appear on your device. eREAD ILLINOIS: This service is not compatible with traditional Kindle devices, but may be used on Kindle Fire or Kindle Fire HD (see below). MEDIA ON DEMAND: You can use the method above for Kindles, or download the Overdrive Media Console for Android, log in to your account, and download content directly to your device. eREAD ILLINOIS: The free axis360 app will allow you to browse, checkout, download, and read EPUB and PDF eBooks directly in the app. To begin installation, on your device go to Settings > Device and turn ON “Allow Installation of Applications…” Then go to your Kindle’s home screen and tap Web. In the address bar, type apps.axis360.org/axis360. If your download does not start automatically, tap OK.
On the Kindle Fire, tap the number in the upper left corner that appears next to My Kindle. On the Fire HD, tap the Web Content menu icon beneath My Kindle. Once the download is complete, tap the axisReader file to install. MEDIA ON DEMAND: On your computer, download Adobe Digital Editions which will manage your library checkouts. This is a free program which will prompt you to create a free Adobe ID. On your computer, use Media On Demand to browse and checkout and download your books. Be sure to choose the EPUB or PDF version of the book. Your book will download into ADE. Connect your device, which will show up as a new shelf on ADE, then drag and drop your book onto the device. eREAD ILLINOIS: On your computer, download Adobe Digital Editions which will manage your library checkouts. You can read EPUB or PDF eBooks on your device by checking out the book at eRead Illinois, downloading the file, and opening it on your computer in Adobe Digital Editions. You will be prompted to create or log in with a free Adobe ID. Connect your device, which will show up as a new shelf on ADE, then drag and drop your book onto the device. MEDIA ON DEMAND: Download the Overdrive Media Console App, which will allow you to log in, browse, and download directly to your Nook. This is also free, and you will only need to enter this information once. You can also browse and checkout using your computer if you prefer, then download from your account using the app. eREAD ILLINOIS: Download the free axis360 app from the Google Play store. This will allow you to browse, checkout, download, and read EPUB and PDF eBooks directly in the app. This is also free, and you will only need to enter it once. I found an e-book book in SWAN but when I clicked though the site looked different and I couldn’t log in. What happened? Thomas Ford is a member of one of three e-book buying groups that use the SWAN catalog. As a Thomas Ford cardholder, you will only be able to download from our group, Media On Demand. To find the Thomas Ford group, use the Thomas Ford specific version of the SWAN catalog. Why can’t I find this author or title? Our e-book collections are still growing, and the way e-book publishers are working with libraries is changing. Some publishers and authors have restricted their works and will not allow them to be available digitally through libraries, in which case we are not be able to add these books to the collection. Why isn’t this book available in Kindle format? Amazon will only permit library lending of a book that it also sells as a Kindle book, so you will find some items as EPUB or PDF but not Kindle. I want an e-reader but I don’t know which one. What does the library recommend? Tech Media Network’s Configurator suggests a reader that best matches your needs, based on a series of questions. PC World has an e-reader buying guide and reviews. What’s should I look for in an e-reader? Some readers like the Nook Simple Touch or the original Kindle use e-ink. This is a non-reflective black and white screen that is easy to read in bright light and causes minimal eye strain, similar to paper. Other readers have color LCD displays similar to your computer screen. These screens are great for full color uses like comic or picture books, magazines, web browsing, movie viewing, or game playing; however they do not display well in sunlight and cause more eye strain than an e-ink reader. Do you mainly want your reader for reading books, or would you like to have the functionality of a tablet? Do the books you are interested in have full color illustrations? Color LCD displays correlate with a shorter battery life. An e-ink display uses far less battery power and may keep a charge up to a month or more. E-readers are available at just about any price point. Consider your budget and look at the readers within that range. ManyBooks Over 29,000 free titles. Project Gutenberg Over 45,000 free titles. Open Library Over 1 million free titles. Feedbooks A place to discover and publish eBooks. Is there help for managing my eBooks? Calibre E-book Management, a free and open source e-book library management application developed by users of e-books for users of e-books. My question isn’t here. What should I do? There are several resources that might answer your question. Media On Demand has a very helpful My Help! feature on its site which will guide you through the process of using your device to read or listen to the books you’re interested in. They also have an extensive help section which may answer your question. The New Hampshire Downloadable Books Blog has a lot of good information about troubleshooting, devices, and formats. Be aware that some of their information, such as new items added, is specific to their location and is not necessarily applicable to Thomas Ford patrons. And we are always happy to help. 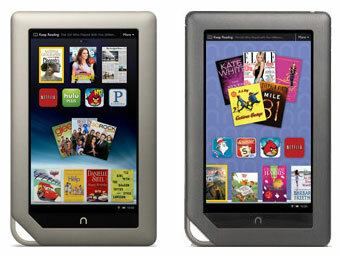 Let us know if we can help you any further with your new e-reader or with downloading books.